Who doesn't need a great book store? 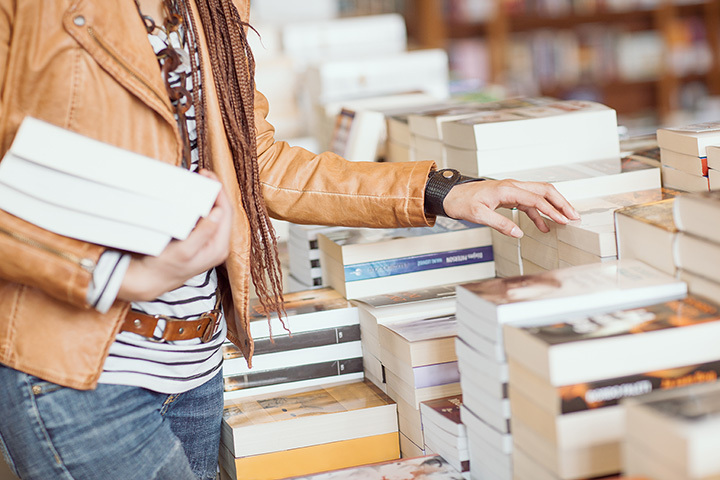 Whether you are a student looking to research, recreational reader on the trail of the next big novel or a traveler wanting something to read on the plane, these bookstores will have something for you. The next time you have a few hours to kill, head down to one of our top 10 choices for the best bookstores in Nevada. Where else can you find a quirky collection of books literally hot off the presses? They not only sell books but they print them too! This is a great place to buy books, trade writer's tips or even take a workshop. They also will talk your ear off about their artificial bird sanctuary. This Reno gem is the student bookstore of the future. Instead of buying those college texts this creative shop lets college students rent their texts. It's a win win while saving money and supporting a local creative business. A used book lovers dream, this local small business carries both the usual used books and the unusual. They specialize in the metaphysical, fantasy, self-help and more. Because they sell used books you never know what kind of unicorn you may find. With everything from the standard new releases to rare books, this store is a local gem. The community of Reno enjoys the variety and the special events that include a book club and book talks by local authors. This is a very family-friendly business. This is the spot for Vegas fans of all things comics. They have a huge collection of both traditional comic books and more novel format comics. The quirky, fun events are also a favorite of locals. Serving the metaphysical needs of Las Vegas since 1985, this shop is a bookstore of a different sort. They not only offer a wide range of books on many new age topics, but also offer a variety of psychic services and experiences. This community-based book seller prides itself on not only being a great bookstore, a fun gift shop but also a cool hang out. They invite the locals to come in for a few books and stay for a cup of tea. They are well known for the fantastic buys and monthly sales. Not your average bookstore by any means. This is more of an amazing gallery of books you will not find anywhere else. The collection includes many first edition books as well as an interesting collection of hand written documents from the likes of President Lincoln. As a part of the Grand Canal Shoppes, just getting there is an adventure that seems like you have stepped back in time. This quirky collection of everything Chinese includes far more than just books. Their extensive gift and food sections are also worth exploring this authentic supplier. They also have a large collection of unique items focusing on martial arts and alternative medicine. Not your mother's book club, this small retailers sells 3,000 book titles about gambling. This is the place to go in Sin City to learn how the pros play or to just figure out what each games entails.